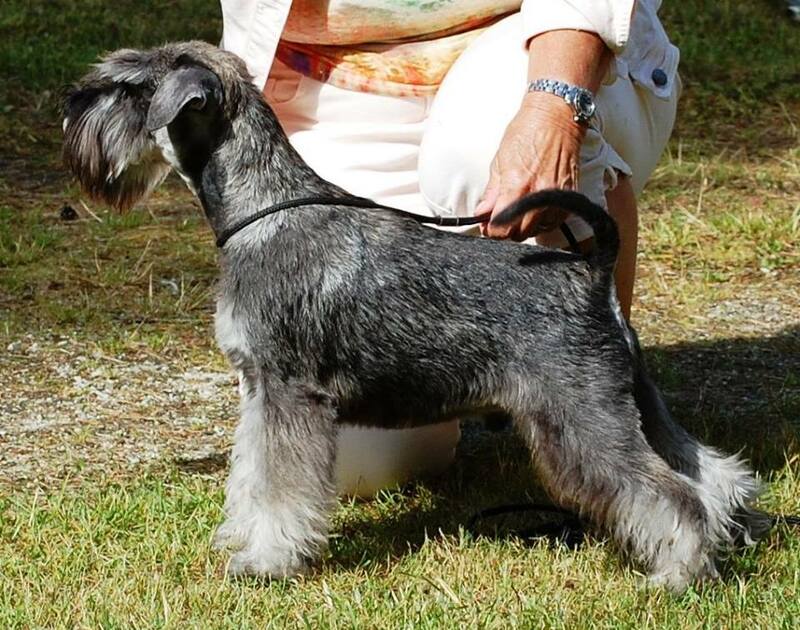 ÅRETS AVELSHUND 2017 i SSPK - LITTLE STAR DE TRUFAS NEGRAS alias ”Messi” - Minischnauzer p/s - Best Progencygroups in Sweden of the SSPK 9 Breeds. 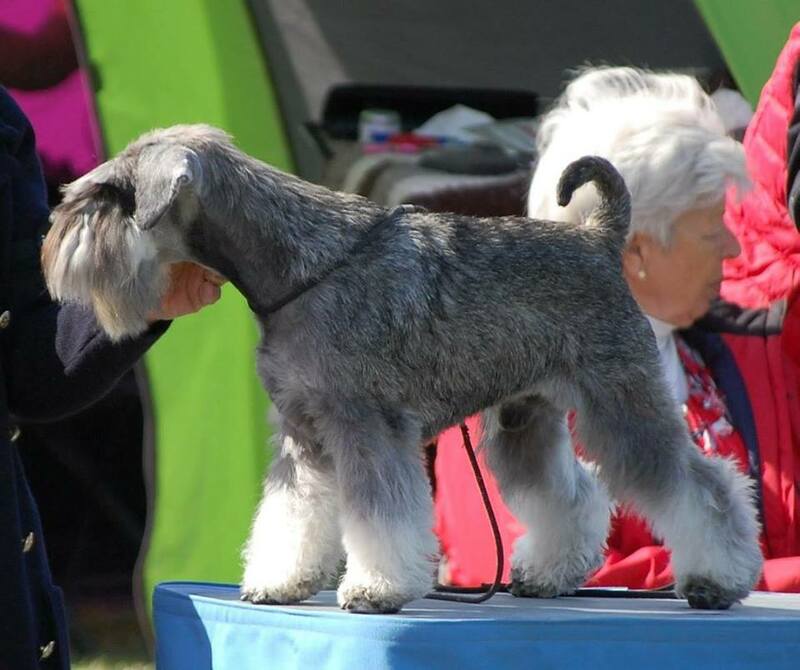 Included dogs in the groups has been: Schnauziborgs-Hero’s Lamborghini, Arbaqs Yentle, Arbaqs Yo-Gi-Ho, Arbaqs Your Highness, Argentas Jaguar and New Eras Vermont. The groups have been BIS placed both on SKK and SSPK DogShows! 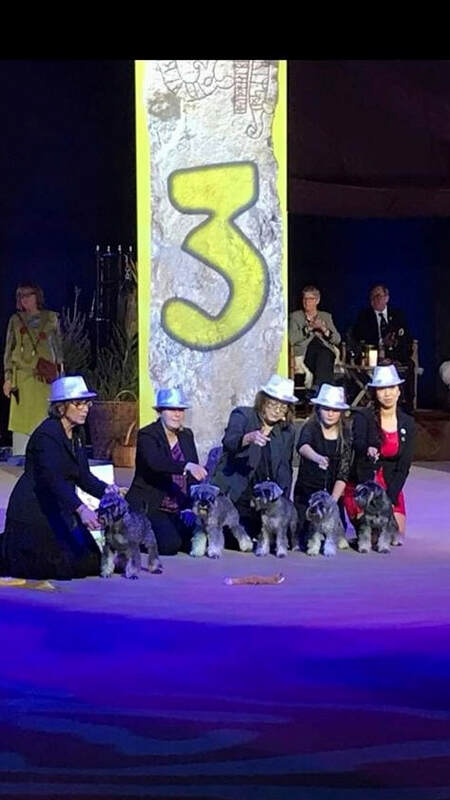 INT & NORD CH SCHNAUZI-HEROS KUNG KENZO was ”2:nd BEST MINISCHNAUZER p/s 2017” awarded by The Swedish Minischnauzer club! 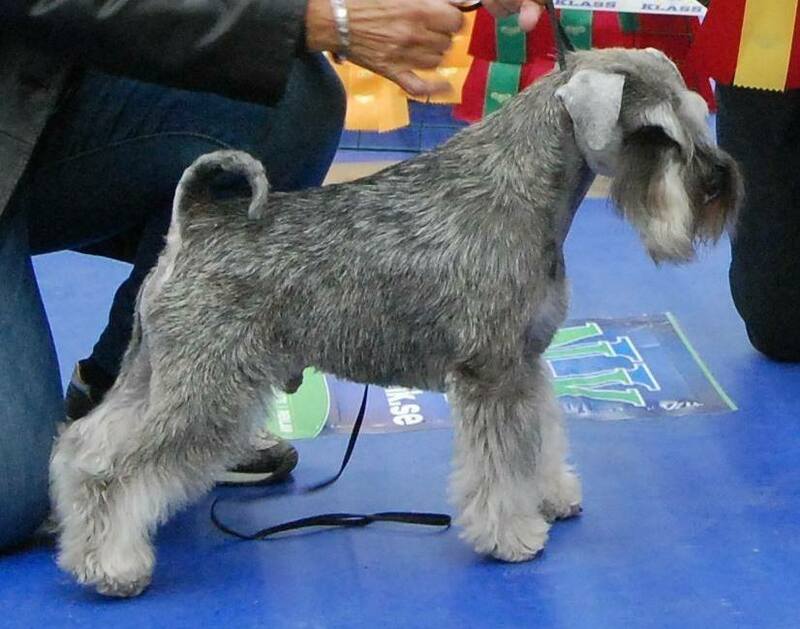 His sister ”CH SCHNAUZI -HEROS DONNA KAREN” was “3: rd BEST FEMALE p/s”. 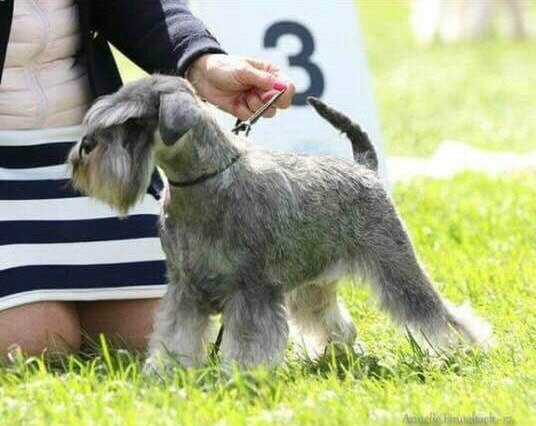 I am also proud to tell that Kenzo was “BEST IN SHOW -3” on the Specialshow for Minischnauzer ( all colours) at “ Cupen” in May 2017. With about 150 entries in this “JubileumShow” he was also awarded “ Best in Show - Movement”. Kenzo at WorldWinner in Leipzig 2017, where he was 3: rd Best Male in Open class! Last year, 2016 he was "2:nd Best p&s male" in Sweden. 2015 he was topwinning puppy and started his official carrier at Nordic WinnerShow in Stockholm in december 2015 where he was NORD WINNER and BOB. 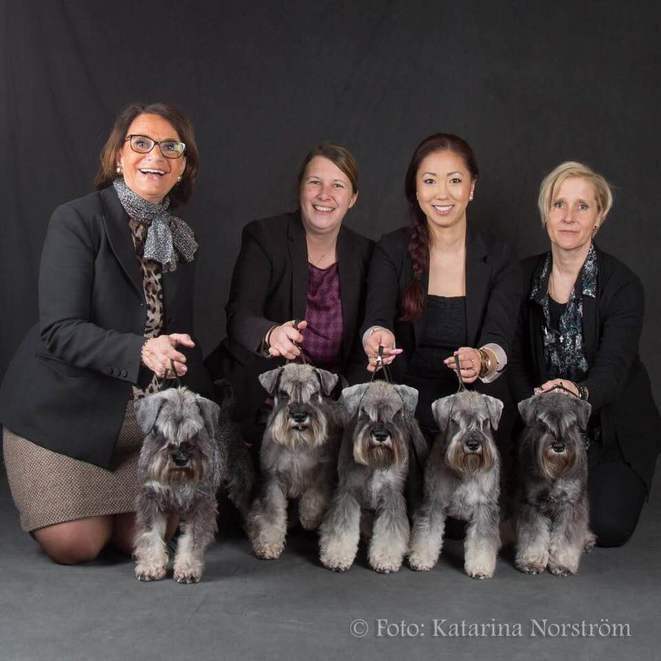 Årskrönika / Annual report 2017 for SE & FIN CH SCHNAUZI-HEROS DONNA KAREN ( SE CH & NORD J W-14 New Eras Vermont - INT & NORD CH, NORD W-11, Vice WW-11 Schnauzi -Heros Antonia of Victory). 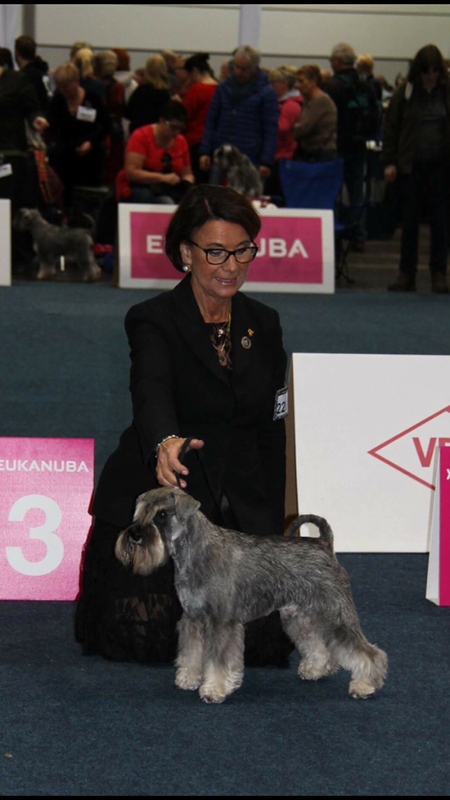 Donna was ”3: rd BEST FEMALE of Minischnauzer p/s 2017” (together with La Leias Fabulous Fixa) awarded by The Swedish Minischnauzerclub. Donna has only been to a few dogshows this year but has been BIM/ BOS a few times both in Sweden and Finland and was this year SE & FIN CH.